Encore was the high selling bull in the 2008 Power+Plus Bull Sale, recording one of the top values of the spring sale season. This genetic masterpiece is possibly the most impressive son of the legendary "6807" to surface in recent times. 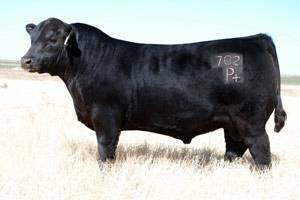 His phenomenal mother, 814G, is recognized as one of the most consistent and valuable producers in the Angus world.